More than a conference, #Afrobytes is a marketplace to meet key players of the Global African Tech Ecosystem. 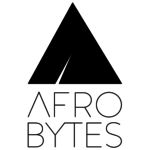 Afrobytes is the First Hub dedicated to African Tech in Europe based in Paris. Our mission is to redefine the relations between Africa, Europe, Silicon Valley and beyond, through tech. For African startups, we provide exposure, opportunities to connect with investors and possibilities to scale up fast. For European and Western startups, companies and investors searching for growth and investment opportunities in Africa, we propose an original way to enter the African Market by launching applications that really matter to people on « The Mobile First Continent ». Our African Tech conferences held in Paris are designed to offer a unique opportunity to meet players deeply involved in Africa. Our Lab focuses on the African diaspora user experience to imagine the apps that will create a better connection with the continent in all its dimensions: services, investment, family and friends.